I hope I am posting this in the right place as I am newbie to this forum. I am looking at making a laptop using the Pi and a Motorola Lapdock. I was wanting to run RISCOS on it but one thing I would like to have is the ability to use a USB wireless broadband modem. Has anyone done any work in this area? I am quite happy to do testing and as I an IT support professional, I can give detailed feedback as long I know where the log files are. I’m using the ComCentre – App and USBSDvEmu, USBDvSwp from Thomas Milius. Also you need the PPP-Module. The Apps you can find on Thomas-Homepage . 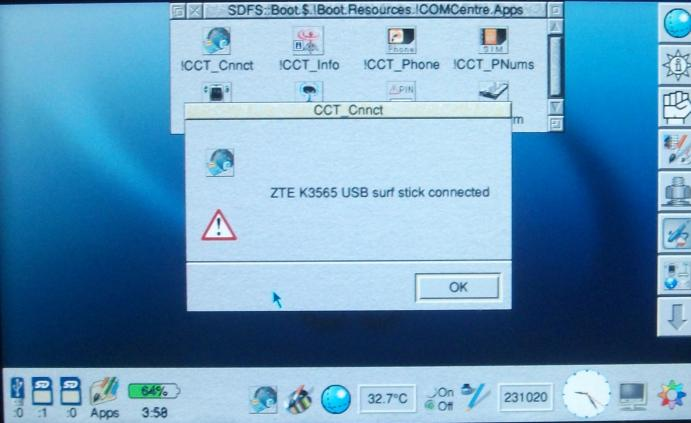 It works fine on my Pi-Lapdock and my Pandora with a ZTE Surfstick. Cool, thanks very much for that. Down here in Auckland there are not a lot of free Wifi connections and those that are available are usually limited in both time and data usage so I need to have the ability to connect via wireless broadband, even though the telcos charge like wounded bulls on meth amphetamines. The configuration is a little fiddly. Still too few sticks were tested. In USBDevSwp there is a list of theoretically supported sticks/modems. Not sure if you’re making this as a fun exercise, or as a means to an end. If it’s the latter, CJE Micros sell a pre-built version of what you’re talking about. If it’s the former, best of luck. CJE Micros sell an adaptor (£42) that plugs into the Ethernet socket and provides wireless networking in hardware. It can be configured from RISC OS using FireFox. I mean CJEs adaptor is WIFI, ComCentre is for mobile surfstick or mobile phone (GPRS, UMTS…). You are correct for the unit Chris Hall bought from us. I think that once set up the Internet would be accessible from any attached computer inc RISC OS or do passwords or something else need entering on each connection. A little bit messy with two cables to the computer but any difference in functionality? Ok, it will be working fine if you have a table or what ever. I’m “on the road” the most time of a day. And so Devices and cable out of the box are impractical for me. And the fact that your portable RISC OS machine is an OpenPandora which isn’t much bigger than the solutions proposed above! No. 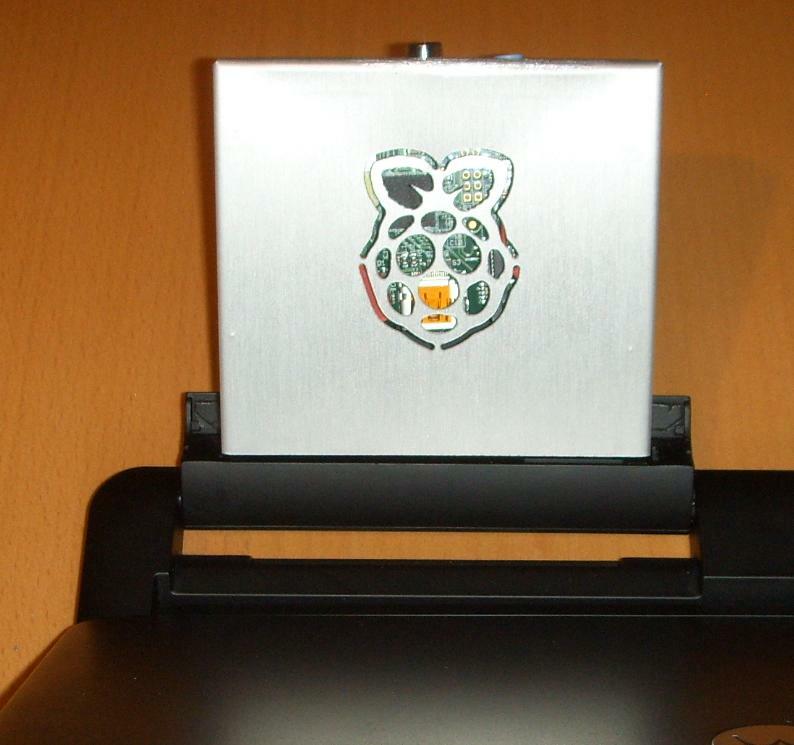 My second is my A4xm and third is a Lapdock with my own RPi-case (Sorry. Is not the last Version.). As I say. No cable out of the box! I had forgotten about your A4xM! 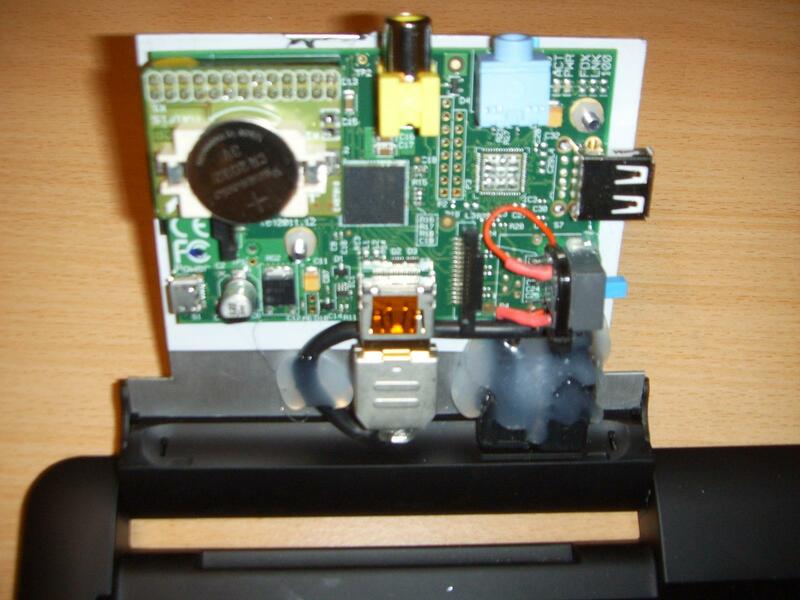 See my latest Raspberry Pip2. We are in a competition? Congratulations (I mean that. Looks good.)! Ah yes that’s the huge one isn’t it? Done. Have I won something ;-)? We are in a competition? Can you build a small batch? It is pretty labour-intensive, but it could be done. It would be much simpler if a Pi could be bought without the hand-fitted connectors. That is impressive. I thought about moving the HDMI connector, but after I dismantled the Lapdock to have a look I decided it was just too delicate and I was likely to damage things. What my Pip scores on is the depth, <12mm, but it does require a lot of tedious desoldering. I have been pleased with how robust the Pi board has been, though. That the reason I nothing changed (desoldering) on the board. Most “time” intensiv was soldering the HDMI cable. What my Pip scores on is the depth, <12mm, but it does require a lot of tedious desoldering. My case has the same thikness as the Tekberry 25mm. I wouldt build one what can use by everybody without bigger changes on the board. CJE Micros sell an adaptor (£42) that plugs into the Ethernet socket and provides wireless networking in hardware. I have used an Edimax BR-6258 to do that for months. I think I paid £18 for it, all in, and it is not too difficult to set up in Windows before using with the Pi. I have not tried Firefox directly. I have recently joined it with a Lindy USB-Ethernet adaptor from a model A, as recommended by Raik. This is no substitute for a tiny USB Wifi adaptor at £10, but I live in hope. Most “time” intensiv was soldering the HDMI cable. Finding a way to move the HDMI to a micro-socket took quite while. Now I have a method it would be relatively quick, but not welcome with 19 tiny wires to solder. So I had to make the cable by myself.